Hide deals from seller "Jimmy Fong Kung Fu"
Limit 1 per person. Valid on (8) 60-minute kung fu classes for kids age 10 and younger. Classes take place Saturdays at 9 a.m. Registration must be completed by Sept. 1, 2012. Classes begin Sept. 15, 2012. Promotional value expires Sept. 15, 2012. Keep your kids entertained and healthy with 50% off kids’ kung fu classes at Jimmy Fong Kung Fu in Skokie ($500 value). These 60-minute sessions will cover instruction, conditioning and maneuvers of kung fu, and will help your child develop self-confidence and martial arts skills. Jimmy Fong has been involved in martial arts for many years and enjoys imparting his knowledge and skills to a new generation. He teaches students of all ages and skill levels with an emphasis on safety and proper technique. Jimmy works with students to develop personalized conditioning plans to reach new belt levels and reveal their potential. Kick start a healthy new habit with this deal. 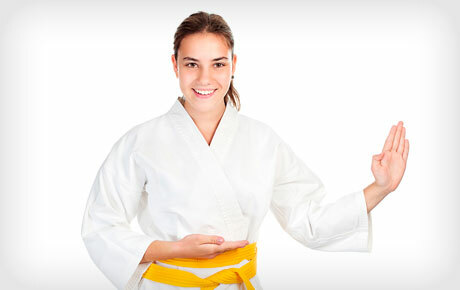 Martial arts trainer in Skokie that offers training and conditioning.